Makeup and beauty !!! 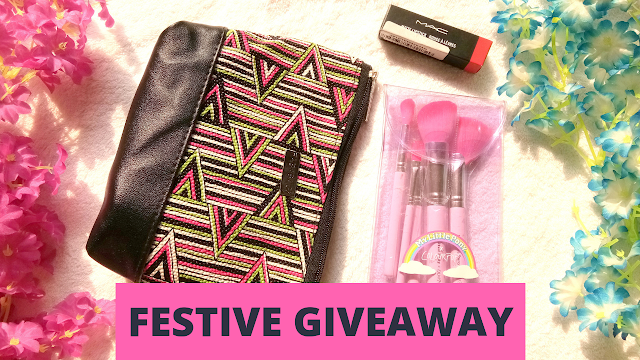 : FESTIVE GIVEAWAY!!! As my birthday month and festive season (OCTOBER) just started so here I am up with an amazing giveaway to celebrate my birthday and this festive season. This giveaway will run equally in my three social media page YOUTUBE CHANNEL, INSTAGRAM, AND FACEBOOK. One can participate in all three places to increase the chance of winning. There will be 3 winners and that I am going to choose each from my three page. 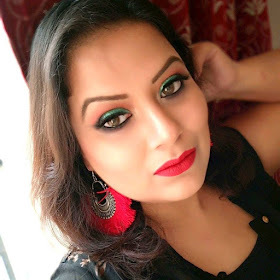 IST WINNER WILL BE FROM YOUTUBE CHANNEL WHO WILL WIN A MAC LIPSTICK LADY DANGER. 2ND WINNER WILL BE FROM INSTAGRAM WHO WILL WIN COLOURPOP "MY LITTLE PONY" BRUSH SET. 3RD WINNER WILL BE FROM FACEBOOK PAGE WHO WILL WIN FAB BAG OF SEPTEMBER EDITION. LIKE & SHARE THIS VIDEO WITH YOUR FRIENDS. COMMENT BELOW FROM WHICH CITY YOU BELONG AND WHY YOU WANT TO WIN THIS GIVEAWAY. FOR INSTAGRAM ENTRY GO TO @samannita INSTA PAGE AND ENTER THERE. PLEASE NOTE:- All winners will be chosen using random.org. (I will personally verify each entry so that only deserved person can win this giveaway). 1.This giveaway open to Indian resident only. 2. The giveaway will run from Today until 30th OCTOBER 2018. 3. The winner will be chosen after verifying all the valid entries only. 4.No unfollowing after the end of the giveaway will be entertained. If anyone found so that person will be ban from my future giveaway. 6. All the gift will be packed well with bubble wrap and will be sent securely via courier service depending on an area of the winner. So, any lost or broken off the parcel in transit will not be my responsibility. All the gifts of the giveaway are bought with my own money. This is not a sponsored giveaway. Do participate guys and make this giveaway a huge success. Thank you for all the love and support. Good luck everyone.